All patent litigation in Denmark is handled in the first instance by a specialist intellectual property (IP) court – the Maritime and Commercial Court of Copenhagen, which includes tribunals consisting of one to three legal judges and two to four lay judges, being either patent agents or commercial persons. The only exception is actions for seeking evidence of an infringement, which are handled by the bailiff's courts associated with the 18 city courts spread around the country. Denmark is a fairly litigious country in relation to patents, despite its small size. This most likely stems from the fact that the cost of litigation is not extremely high, combined with Denmark being a highly technically developed country with many specialist industries, particularly in the pharmaceutical field, with high revenues to be obtained owing to relatively high prices on medicinal products. Recently, courts have dealt with a number of cases involving patents for secondary medical use and the consequences of having obtained unjustified interlocutory relief. In several cases, the second medical use patents have been invalidated and the defendant has been awarded compensation for lost sales. Furthermore, courts have continuously used the doctrine of equivalence in patent litigation. It is currently possible to obtain patent protection in Denmark through three different systems (soon to be four). It is also possible to apply for a utility model. The first option is a Danish national patent granted by the Danish Patent and Trademark Office. The system only covers the Kingdom of Denmark including the Faroe Islands and Greenland. Some later changes to the law have not been implemented in the Faroe Islands or Greenland. The application must contain a written description of the invention, the patent claim, and a summary. The submitted application is the object of a thorough test. Under Danish patent law, patent registrations cannot be obtained for certain types of invention. Computer software can only be covered by patent protection to the extent that the software forms part of a technical solution that is using the computer software as a part of it. The doctrine to this rule is that software cannot be granted protection unless it has a technical result that provides some kind of technical contribution. The same applies to business methods – a patent for a business method cannot be granted unless the business method includes some sort of technical result. It is not possible to obtain a patent for methods for surgical or therapeutic treatment or for determination of diagnoses practised on humans or animals. The reasoning behind this is that they are not regarded as inventions. However, it is possible to obtain patent protection for products, substances and compounds for use in any of the above-mentioned methods. Secondly, a European patent granted by the European Patent Office (EPO) may cover Denmark and be valid in Denmark to the extent that the patent has been validated in Denmark. This is also considered a national patent, therefore only allowing enforceable patent protection for the countries where validation is made. The EPO assesses whether or not the requirements for patentability are fulfilled. Thirdly, Denmark has ratified the Patent Cooperation Treaty in 1978, making it part of the International Patent System. This has also resulted in a national patent, allowing patent protection for the designated countries. In Denmark, the Nordic Patent Institute or the EPO have the authority to assess the novelty requirement for the patent applications. Hereafter, the application must be transferred to each designated country that performs the patentability assessment. This process is handled by the Danish Patent and Trademark Office. In 2012, the EU Commission adopted the Unified Patent Regulations currently covering 26 Member States including Denmark. This system, which entered into force on 20 January 2013, allows for the issuance of a single patent covering all participating Member States. The patent will be issued by the European Patent Office in Munich. As of the time of writing, the system is not up and running because the unified patent is closely linked to the Unified Patent Court Agreement, which will create a supranational court system to handle all disputes stemming from a unified patent. The Unified Patent Court Agreement will only enter into force when 13 Member States, including the big three countries in the EU, Germany, France and the United Kingdom, have ratified the Agreement. That has not taken place yet, but is expected to happen in 2019. It is possible to extend patent protection for certain types of patents covering products for which extensive governmental control is applied, such as pharmaceutical products and plant protection products, through a Supplementary Protection Certificate (SPC). The SPC system is regulated through EU Regulation Nos. 469/2009 and 1610/96, and covers the whole of the EU. The system allows for an extension of patent protection for the subject matter for an additional period of up to five years after expiry of the original patent; however, the length of the supplemental grant depends on the length of the period extending from the application date to the date of grant of authorisation to market the product minus five years. The SPC may, however, only be valid for a maximum of five years. Further, it is possible to apply for utility model protection. The biggest difference between a patent and a utility model is that a utility model is granted without examining whether or not the invention is novel. The test for novelty is slightly different for a utility model, and the protection time is shorter (10 years from application date). A utility model is granted by the Danish Patent and Trademark Office. In Denmark the Maritime and Commercial Court of Copenhagen is the designated IP court for handling, among other things, disputes involving patents. This means that all cases on the merits involving patents will be heard before this Court, no matter where the infringer is located. Cases will be heard by a tribunal of between three and seven judges, of which one to three judges have a legal background and two to four judges may be chosen among a pool of designated lay judges who either have a relevant commercial background or are patent agents – normally one of each. Both actions of infringement and invalidity actions are heard by the same tribunal, and it is quite common that the purported infringer brings a claim for invalidity as an act of defence against a claim for infringement. Decisions of the Maritime and Commercial Court of Copenhagen may be appealed either to the Supreme Court or to one of two appellate courts (covering each part of the country), depending on whether the case has fundamental importance or not. The Supreme Court can decide not to hear a case brought before it. The appellant then has the option of bringing the case before an appellate court instead. The Maritime and Commercial court is a relevant venue for interim proceedings in patent litigation, although it is possible to bring such cases before the local city courts. If a case is brought before a local city court, either party has the option of requesting referral of the case to the Maritime and Commercial Court of Copenhagen, and such referral is mandatory for the city court. It is possible to initiate an action for preserving evidence. Such case must be brought before the bailiff's court in the local city court, and such cases cannot be referred to the Maritime and Commercial Court of Copenhagen. This means that if the plaintiff is seeking a combined interim injunction and a search order, he or she must involve two courts and two judges. It is possible to have two judges go to the premises and hear a combined case. It is possible to ask the Patent and Trademark Office to invalidate a patent according to Article 53b; however, this is rare. A court is not obliged to halt the handling of litigation involving a patent because of administrative proceedings being initiated against the patent. If a court action is initiated involving the patent while an administrative review of the patent is pending before the Patent and Trademark Office, the Office will halt the proceedings until a final decision has been reached (Article 53b(3)) through the court system unless the administrative review has been initiated by the patent holder himself or herself. The patent owner, or someone who has licensed the right to exploit the patent (Article 63), may bring an action in Denmark for patent infringement. It is possible to bring an action in Denmark when the purported infringer is domiciled in Denmark or has property in Denmark and also, in the case of EU-based companies, if the infringement takes place in Denmark. Actions regarding invalidity can only involve rights issued for the territory of Denmark. 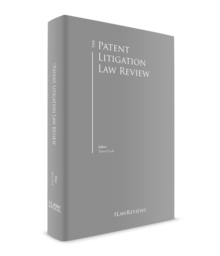 A patent infringement action is initiated by submitting a writ to the relevant court. The writ must be accompanied by a specification of claims to be considered, a statement of facts and legal arguments and must be accompanied by relevant evidence to support the claims. All evidence must be presented orally in court during the trial, which results in patent litigation cases normally involving several days in court – sometimes up to two weeks in complicated cases. The burden of proof in cases of infringement or invalidity actions lies with the claimant. In interim actions, the claimant only needs to show 'plausible' proof of infringement in order to obtain an injunction. If the infringement is proven beyond doubt during the action for interim measures, the court is likely to issue the injunctions without conditioning it on posting of a bond. In cases involving a process patent for manufacturing new products, the burden of proof is reversed (Article 64A). Thus it is the infringer who has to prove that the products have not been produced by infringement. This is a direct consequence of European Patent Convention (EPC) Article 64(2). The main rule regarding presentation of evidence is that the party bringing an action must present evidence to support his or her claim. It is not possible to force a counterparty to present evidence – even if it is obvious that the party is in possession of the relevant proof. There is no discovery process. However, a court may hold it against the holder of the relevant evidence if such evidence is not submitted upon request by the counterparty. Evidence is often present in the shape of a court-appointed independent expert, having been asked to answer relevant questions about the infringement from both sides. Parties may, to a certain extent, present one-sided declarations from experts chosen by the parties themselves, but they will normally be given less weight by the judges than opinions rendered by a court-appointed expert. The Civil Code was changed as of 1 July 2017 in this regard, and it is now possible for the parties to an action to agree to only rely on one-sided opinions prepared by experts chosen by each party. The system has not yet been used in a court action, but it is likely that the judges will put more weight on even one-sided expert opinions in future in such actions. It is, however, worth noticing that this requires both parties to agree to such procedures. Having a court-appointed expert is thus advisable to the extent that one party is certain that the expert will issue a declaration in his or her favour, while the new system may be advisable to the extent that a party is uncertain about the outcome of an opinion from an independent expert or in situations where it is difficult to find an independent expert with sufficient skills in the subject matter of the case. It is very common to commence proceedings by asking the bailiff's court to conduct a search for evidence on the premises of the purported infringer, and it is quite easy to have the courts agree to conduct such a search to the extent that the plaintiff can present convincing evidence that the purported infringer is actually infringing the rights of the plaintiff, and that the evidence of the existence of the infringement and the size of the infringement may be present on the premises covered by the search order. It is also possible to ask for a search order in cases involving process patents. The search is conducted by the judge and a court-appointed expert, but the plaintiff's lawyer may be present at the search to identify relevant evidence. Once the search has been conducted, the court or the court-appointed expert will write a report including the relevant evidence discovered on the premises, and the report will be handed over to the plaintiff. The plaintiff then has 30 days to consider whether to use such evidence in a case on the merits. If he or she does not introduce such evidence into a case on the merits within this deadline, the purported infringer may claim the evidence back and the evidence is then inadmissible in court proceedings. Normally, the courts will condition the search on the posting of a small bond of between US$3,000 and US$8,000, which is meant to secure the infringer against losses, should the search order later on prove to be unfounded. It is possible to put forward claims involving alterations of claims during a legal process, to the extent that the alterations are kept within the scope of the original claims and do not extend protection to new areas. The courts may issue a decision resulting in the rewording of the claim or simply deletion of a part of the claim. It is unlikely that the court will make such corrections without having been asked to do so by one of the parties. the protection conferred by the patent has been extended after the patent authorities have notified the patent owner that the patent will be granted. In a recent decision – Novartis v. Orifarm (T-9-14) – a second medical use patent was invalidated because the subject matter of the patent extended beyond the contents of the application as filed. Patent litigation in Denmark is not too expensive compared to the surrounding countries. When considering when to sue, it is important to be aware of the fact that a request for an interim injunction will be rejected by the courts unless the plaintiff files the request in a timely fashion following the discovery of the infringement and, more importantly, following the date of having approached the infringer with a cease-and-desist letter. There are no specific time limits specified in the law, but if the plaintiff has sent a cease-and-desist letter to the infringer or has engaged in negotiations with the infringer, it is strongly advisable to file a request for an injunction as soon as possible. The latest precedence suggests that filling a request for an injunction more than six months after having approached the infringer for the first time may be too late. Furthermore, very recent case law – EPDPP ApS v. Norgo ApS et al (A-28-15) – states that knowledge of the existence in the market of a product does not in itself result in laches to the extent that extensive testing is needed to determine that the product is infringing. In general, it is advisable to file the action as soon as enough evidence has been gathered to support the action. This normally includes relevant testing and preparation of an expert opinion. In patent infringement cases, it is crucial to consider the strength of the patent before asking for an interim injunction. This is owing to the fact that liability for having obtained an unjustified interim injunction is very strict and may result in very large awards of damages. In a recent case – AstraZeneca v. Sandoz (T-2-12) – the court awarded Sandoz 100 million Danish krone in damages for unjustified injunction because the second medical use patent held by AstraZeneca was invalidated by the court. For that reason, the plaintiff must consider whether to ask for a quick interim injunction or for a case on the merits, which may take as long as four to six years to be decided, including appeals. The judgment by the court includes a decision regarding costs, and it is the winner who will be awarded costs and reasonable lawyer's fees. The courts will never award full compensation for lawyers' fees. The award of costs will depend on the value of the case and normally amount to 25–40 per cent of the actual expenses to lawyers' fees. Costs incurred during the trial – such as fees for expert witnesses and court-appointed experts – must normally be borne by the loser, but only to the extent that the court finds that the expert witnesses' work has had direct relation to the court action. A case on infringement of a patent will normally take one to two years at the Danish Maritime and Commercial Court. If the judgment by the Maritime and Commercial Court is appealed to the Supreme Court, the appeal case takes around one-and-a-half to three years. It is possible to obtain an interim injunction against patent infringements. This requires almost the same preparation as a case on the merits, and will be heard by a tribunal of three judges like a case on the merits. The procedure is the same as a case on the merits except for the fact that there is no real bar against presentation of new facts and evidence during the proceedings. A decision on interim injunctions is often conditioned on the plaintiff posting a significant bond, the size of which is decided entirely by the court. This is based on the likelihood of the injunction order being overturn on appeal or in a follow-up case on the merits and evidence presented by the parties in relation to the possible losses suffered by the defendant as a result of a possibly unfounded injunction having been issued. In patent cases the bond may be significant, and in a recent case between two companies producing hearing aids, the bond was set at US$800,000 and in actions involving infringement of pharmaceutical patents the bonds are normally very high. If the plaintiff obtains an interim injunction, such decision must be followed up by a case on the merits within two weeks after the interim decision being final. If the bond is not posted or the case on the merits is not brought in a timely fashion, the injunction will not be issued and the defendant may claim compensation for unjustified actions having been brought against them. Claims for invalidity cannot be brought during interim proceedings, and in general there is a presumption of validity of a patent. However, in connection with deciding on the likelihood of infringement, the courts will also, to a certain extent, consider the validity of the patent in question, and it is possible to bring such uncertainty to the validity of the patent that the court may reject the infringement action. It is possible, but extremely rare under Competition law or the Danish Marketing Act, for lawyers and their parties to become liable if they issue statements or send letters to distributors of purportedly infringing products that include false or misleading statements. It is furthermore possible for a party that has been met with a claim for infringement to initiate litigation based on a claim for non-infringement. However, this is very seldom used as a result of the cost of litigation in general, and the fact that a party to a legal action will never recover the full amount spent on litigation from the counterparty, even if they win. According to Article 3 of the Danish Patent Act, without permission of the patent owner, no one may exploit the invention by making, offering, putting on the market or using a product that is the subject matter of the patent, by importing or possessing a product for these purposes, by using a process that is the subject matter of the patent or by offering the process for use in Denmark, if the person offering the process knows or it is obvious in the circumstances that the use of the process is prohibited without the permission of the patent owner, or by offering, putting on the market or using a product obtained by a process that is the subject matter of the patent, or by importing or possessing the products for these purposes. Under the Danish Patent Act, no one but the patent owner may exploit the invention by supplying or offering to supply anyone who is not eligible to exploit the invention with the intention of utilising it in Denmark, if the supplier's resources relate to any essential element of the invention and the supplier or person offering supply knows or it is obvious that the resources in question are suitable and intended for exploitation. Furthermore, it is possible to face liability for infringement if one assists or incites an infringement. It is possible to face liability as multiple parties in the same case, and foreign activities can be subject to infringement in Denmark if the infringing activity has an impact on Danish territory. Otherwise, only activities performed inside the territories of Denmark can constitute an infringement. A director of a company may be held directly liable for infringement under certain circumstances; namely when he or she has control over the company and is the person who has either initiated the infringement or performed the infringement. The extent of protection conferred by a European patent or a European patent application shall be determined by the term of the claims. Nevertheless, the description and drawings shall be used to interpret the claims. In this regard, a protocol exists on the interpretation of Article 69. Article 1 lists the general principles; thus, Article 69 should not be interpreted in the sense that the extent of the protection conferred by a European patent is to be defined by the strict, literal meaning of the wording used in the claims. Nor should it be interpreted in the sense that the claims serve only as a guideline. It is to be interpreted as defining a position between these extremes that combines a fair protection for the patentee with a reasonable degree of certainty for third parties. Article 2 lists that equivalent elements should be taken into account when determining the extent of the protection of a patent. Thus, the patent claims are the central element when looking at the scope of protection, but it is possible in each case to expand the protection to more than just the wording of the claim, allowing acts that are very equivalent to the patented invention to constitute an infringement. When checking whether or not a patent is infringed, the alleged infringing product is compared to the patent claim. The crucial thing is whether the central or essential parts of the invention can be found in the alleged infringing product, and whether deviations only occur in minor areas. However, if the deviation in question is obvious to a person skilled in the art, it will normally result in an infringement. If any ambiguities exist in the patent claim it may be taken into consideration if the patent applicant himself or herself has interpreted any ambiguities in the claim to the Danish Patent and Trademark Office. Furthermore precedence shows that language in the claims that is not relevant to the core of the invention may be given lesser weight, or entirely disregarded, when assessing the scope of the invention. Finally the doctrine of equivalence is accepted according to precedence from the Supreme Court in the case U2009.1532H Guldager, according to which the use of a method that applies almost the same features in order to fulfil the same purpose in almost the same manner as described in the claim will also result in infringement being stated. The validity of a patent can be challenged by anyone who wishes to do so. The validity is challenged when a written request to re-examine a registered patent is filed with the patent authorities. the protection conferred by the patent has been extended after the patent authorities notified the patent owner that the patent would be granted. In Denmark, the Danish Patent and Trademark Office makes decisions on challenges to the validity of patents. A decision by the Danish Patent and Trademark Office can be appealed to the Danish Board of Appeal on Patents and Trademarks. The decisions by the Danish Board of Appeal on Patents and Trademarks can be brought before the Danish Maritime and Commercial Court. It is possible for an accused infringer to argue for a prior use defence as a defence to infringement claims. However, private use by the accused infringer does not give him or her the right to continue the private use begun before the priority date commercially after the priority date. The prior use defence is limited to a commercial use when the exploitation does not constitute an obvious violation of the patent applicant's rights. There is no limitation to which types of patents the defence applies to. The defences may only be used if commercial use has commenced before the date of filing, and the continued use may not extend beyond the use that had been initiated before the priority date. It is also legal to use the patent in experimental use. Likewise, it is legal to file for market authorisation of a generic variation of a patented drug and preparation to go on the market when the patent expires. Enforcement of a patent can expose the patent owner to liability under competition law and marketing law. According to the Danish Marketing Act Article 3, all traders shall exercise good marketing practice with reference to consumers, other traders and public interests. It is possible for a patent owner to face liability under the Marketing Act if he or she issues false or misleading statements. It is also possible that a patent owner may abuse his or her dominant position and thus face liability under competition law. Only one example on precedent exists in Denmark. In 2005, the European Commission conducted an inspection at the premises of Lundbeck Pharma. The purpose was to identify whether Lundbeck Pharma had misappropriated a dominant position or had been involved in anticompetitive agreements in the markets for antidepressant drugs. In 2013, the European Commission found that Lundbeck Pharma had violated competition law because they used 'pay-for-delay' agreements, and imposed a fine of €93.8 million. As part of a final decision on infringement, the patent holder may obtain a final injunction against the infringers' exploitation of the invention. Courts may also order the infringer to perform certain tasks that aid in terminating the illegal actions such as withdrawal of products from the market, destruction of goods, surrender of goods to the patent holder or alterations of products to avoid infringement (Article 59). Furthermore, the patent holder is entitled to compensation, which will be calculated based on their proven losses. Compensation thus requires proof of actual lost sales or market disturbance. As damages are calculated based on lost sales of the patent holder, damages may in fact be higher than the profit obtained by the infringer. If the patent holder cannot prove actual losses, he or she will be entitled to reasonable compensation calculated based on an evaluation of how much the infringer had to pay under normal market conditions for obtaining the right to exploit the invention. This is comparable to a royalty payment, and payment of such an amount does not allow the infringer to continue the infringement after the decision has been issued. It is also possible to claim non-economic damages, for example, because of bad will or disturbance of the market in which the patent holder operated. Damages can be claimed from the date the patent application was published in Denmark, but the amount of damages awarded will often be fairly low because it can be difficult to prove actual losses. It is only possible to obtain a final injunction at the Maritime and Commercial Court or Supreme Court. If the goods in question are sold and put on the market before the final injunction is issued by either of the courts, the goods may be withdrawn from the retailers and the market, but never from the consumers. Under Danish patent law, it is possible to obtain a compulsory licence agreement. However, the provisions concerning compulsory licences are seldom used in Denmark. Once a threat to get a compulsory licence is made before the patent owner, the patent owner often enters into a licence agreement with the interested person. A compulsory licence is obtained by filing a writ with the Maritime and Commercial Court. The requirements for obtaining a compulsory licence are that the person wishing to obtain a compulsory licence is capable of exploiting the invention in a reasonable and responsible manner that complies with the licence. Furthermore, the requirements imply that the person seeking the compulsory licence needs to be technically and economically able to sustain the invention's required standard on the market, and capable of paying the licence fee. Before being able to obtain a compulsory licence, the person seeking the licence must have already unsuccessfully attempted to obtain a voluntary licence. It is possible to challenge the ownership of a patent, which is done by filing a writ of summons with the Maritime and Commercial Court, presenting evidence in support of one's claim. Furthermore, patents may form the basis for customs seizures. The patent holder must file a petition with customs, supplying them with information about the patent. The procedure is free of official fees, but the patent holder must agree to not hold the customs authorities responsible for claims made by third parties as a result of unjustified seizures. If a product is seized, the patent holder must either present evidence of acknowledgement of the infringement within 10 working days (an extension of another 10 days may be granted) to customs or file a writ of summons with the Maritime and Commercial Court claiming the infringement. The infringer may ask customs to release the goods while the case is pending in court, to the extent that he or she posts a bond, the size of which is decided by customs. Furthermore, Denmark accepts the small consignment exemption, according to which small consignments may be destroyed by customs without the parties having been involved, to the extent that the infringement is proven beyond doubt. The Danish patent system contains procedures for modifying, re-examining or revoking already registered patents. It is possible to file objections for granting a patent and request re-examination of a registered patent. This is done by filing the objection and filing the request to the Danish Patent and Trademark Authorities. The Authorities can either partially invalidate the patent or revoke it. The Maritime and Commercial Court can decide whether or not a patent claim should be amended, but they are primarily reluctant on this matter. A judgment by the Maritime and Commercial Court on a patent case can be appealed to the Danish Supreme Court or an appellate court. The judgment by the Danish Supreme Court is final and cannot be appealed. The Danish procedural system is not a front-load system, and the ability to add new evidence to a case on appeal is very liberal. However, it is not possible to add entirely new claims to the case on appeal, unless the parties and the court agree to such additions. Approximately 35 decisions have been published within the past two years, including decisions on interim injunctions, on cases on the merits and on award of damages. The most interesting cases are detailed below. The courts have issued several rulings involving the issue of urgency in preliminary injunction (PI) matters. In A-35-15 Minkpapir A/S v. Jasopels A/S, the court ruled that the fact that the alleged infringing product had been on the market for four years prior to the filing of the PI led to a rejection of the claim, since there was not sufficient urgency. During the trial, the director of the patent holder stated that he had had the allegedly infringing product in his possession for several years to see how it worked. On the contrary, in A-28-15 EPDPP ApS v. Norgo ApS et al, the court held that the fact that the allegedly infringing product, which was an electronic device for parking control, had been on the market for several years did not deprive the action of sufficient urgency, since it was not possible to discover the infringement unless thorough examination had been performed. Once such examination indicated infringement, the patent holder filed suit immediately. 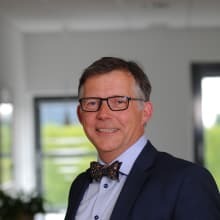 The case was the first in Denmark to state that patent holders are not time-barred from asking for a PI just because the infringing product has been on the market for a long time, as long as the infringement is not easy to detect and requires in-depth examination. In an ongoing battle between Novartis and Orifarm involving patents on the rivastigmine plaster, the Eastern Appelate Court issued the first decision on lifting a granted PI in case U2017.2417. Orifarm had asked for lifting of the PI and had referred to the fact that the EPO had invalidated the patent, that the Danish Maritime and Commercial Court had invalidated the patent and likewise several foreign courts in different countries. The Eastern Appellate court started out by establishing the general rule of presumption of validity in PI cases and stated that neither the EPO decision nor the Maritime and Commercial Court decision were decisive, because they were both on appeal. However, those interim decisions, together with a range of other foreign decisions and the expert opinions given in the course of the trial, created such uncertainty about the foundation for the PI that the court decided to lift the injunction. The case shows that presumption of validity still stands, but it may be challenged if sufficient evidence can be submitted to the contrary. In the same battle, the Maritime and Commercial Court granted Orifarm damages of 13 million krone for unjustified PI in case T-9-14. In the case T-1-17 Coloplast A/S v. Hollister Incorporated, the dispute was whether Coloplast A/S could be considered a co-inventor and thus co-owner of a European patent application for catheter devices submitted by Hollister Incorporated. The Court found that since Coloplast only contributed with already known techniques and did contribute to the part of the invention that resulted in patentability they could not be considered co-inventors. The Court reiterated that co-ownership of a patent requires contribution that meets the requirement of inventiveness for a patent. In a recent case, U.2018.1572S, Minkpapir A/S brought a decision by the Danish Patent Appeal Board to the Maritime and Commercial Court. Minkpapir A/S claimed that an application partitioned from an EP application should be consider equal to an application partitioned from a Danish Application and thus be granted the same filing date as the original application. The Board of Appeal did not accept this argument and the partitioned application was given priority from the filing date of the partitioned application. It is possible to split a Danish patent application and gain priority from the first application's filing date. The Maritime and Commercial Court agreed with the Patent Appeal Board that there is no direct legal basis to split a Danish patent application from a European patent application. The Maritime and Commercial Court also found that a specific provision in the Danish Patent regulation that equated European patent applications with national Danish patent application, could not be used as a legal basis in this case. The purpose of the specific provision is to, 'amongst others' (per the wording of the legislative preparatory comments), take earlier European patent application into consideration when assessing the newsworthiness of a Danish patent application. The majority of the dissenting Court did not find the wording 'amongst others' in the legislative work to be a legal basis for splitting a Danish patent application from a European patent application. In case T-9-15 Hamberger Industriwerke GmbH v. jem & fix A/S, the question of whether an opposing party had lost their right to enforce its patent owing to laches was decided upon. The two opposing parties had corresponded over about four-and-a-half years before the plaintiff sued the defendant. The Court did not find that the plaintiff had lost their right to enforce their patent since the defendant wrongfully had declared two years earlier that it would cease all sale of the infringing product. The defendant could not prove to have a justified expectation that the plaintiff would not enforce its patent rights. Patent applicants must be sure that translations of their patent claims are identical to the claims in the original application. Millenium Pharmaceuticals Inc almost paid dearly for this in the case A-22-17 Millenium Pharmaceuticals Inc. v. Teva Danmark A/S when an active ingredient in one of its patent claims was not included in the Danish translation owing to a mistake in connection with the validation of the patent. A new translation was submitted almost five years later. The court stated that when there is a difference in a claim's translation, the scope of protection will only be considered based on the wording found in both versions simultaneously. SPCs were at the centre of the case. The opposing party claimed that Millenium Pharmaceuticals Inc's SPC was invalid owing to 'the basic patent being limited to the extent that the product for which the certificate was granted would no longer be protected by the claims of the basic patent', cf. the SPC Regulation Article 15(3), litra c. The Court referred to the EU cases C-392/97, C-322/10 and C493/12. The Court found that an SPC can be granted protection by all the active ingredients that are mentioned in the basic patent's claims. According to the Court, it did not matter that the SPC referred to a claim in the basic patent that did not mention the relevant active ingredient (this was the earlier mentioned claim that was inadequately translated). It was enough for the SPC to be valid that the relevant active ingredient was mentioned in another claim in the basic patent. An SPC was also at the centre of another case, A-23-17 Gilead Sciences Inc. v. Accord Healthcare Limited, where the plaintiff was seeking an interim injunction. The Court found that the opposed pharmaceutical product would infringe upon the opposing party's SPC if it was found to be valid. The Court then had to decide if the SPC was valid. To gain an SPC for a combination product consisting of two active ingredients, the two active ingredients must be mentioned in the basic patent's claims. The active ingredients can be named specifically by name, or with a chemical name, a structural formula or be covered by a Markush formula. The Court found that the active ingredients were not named in the plaintiff's basic patent's claims in any of these manners. The term 'other therapeutic ingredients' in the patent claims was not found to be a sufficient mentioning of the active ingredients. For that reason, an injunction was not granted. The hottest topic right now is the EU patent and the coming into force of the Unified Patent Court (UPC). Denmark is part of both systems, and it is expected that this system will lead to a significant increase in the number of patents that will cover Denmark and, as a result of this, to an increase in litigation. Denmark has decided to establish a national chamber of the UPC, and this may lead to a significant amount of litigation on Danish soil. However, as the UPC system is supranational, this may not directly affect the Danish patent litigation landscape directly. It is expected that many patent holders may initially opt out of EU protection, owing to to the significant risks associated with pooling all countries in one registration. Thus, for the foreseeable future, there will be many litigation actions involving national Danish patents conducted in the Danish courts. 1 Johan E Løje is a partner at Løje, Arnesen & Meedom LLP.